READY TO MOVE INTO! This 4 bedroom 2 bath home with screened inground pool and heated spa is waiting for YOU! Great for entertaining, this cul-de-sac home features a large covered patio plus huge screened in Bar-Be-Que and lounge space. All nestled on a generous lot behind a brick privacy fence. Split bedroom plan, French doors, a wood burning fireplace and formal living and dining rooms split off the entry foyer (living room is currently being used as media room) are other features of this well-kept home. 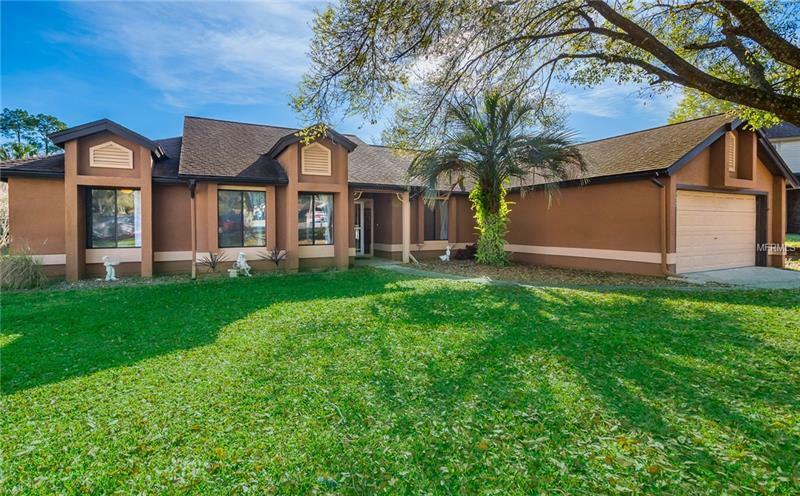 Pleasantly landscaped yard and great natural light flowing through the home make this a welcome retreat to which you will love returning after your workday! Area amenities include highly rated Lake Mary Schools, Liberty Park (pavilion rental, nature trails, picnic tables, BBQ grills), Lake Mary Tennis Center (7 clay courts), Mayfair Country Club (18 hole par 72 golf course) and nearby Crooms Academy of Information Technology, Seminole State College and Orlando-Sanford International Airport.